Aromatherapy is one of the main complementary therapies to be practiced by nurses and other health care professionals in hospital, hospice, and community settings. Written by a nurse, this clinical text highlights how aromatherapy can enhance care and the role health care professionals play in its practice. 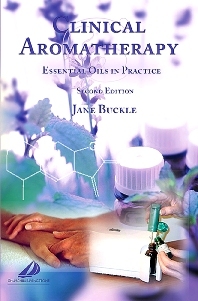 It examines key facts and issues in aromatherapy practice, and applies these within a variety of contexts and conditions, taking a carefully holistic approach in dealing with the patient. Clinical Aromatherapy consultant and creator of the 'M' Technique. London, UK. US office in NJ.